We are honoured to have parthenships with some of the biggest companies in Romania, companies that care enough about their employees to offer them reliable rental services and great value-for-money accommodation in Bucharest. Any new client that wants to be part of this special group is clearly aware that it deserves to use the best rent apartments available on the Bucharest market. 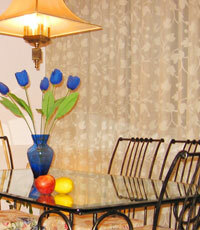 When you begin to use our short-term rental services or our long term rent properties in Bucharest, you will discover why you should choose us over our competitors: attractively decorated apartments, fully equipped with all modern facilities, very good locations, immediate reaction to your every wish, flexibility and, the most important aspect: customized serviced. paying in time for the invoices we issue regarding our services. Our serviced apartments in Bucharest are suitable for any term of contract you want, starting from the minimum booking period of 2 days. 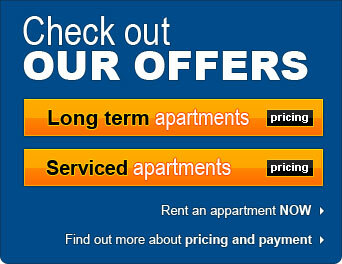 The long term apartments are available for contracts of minimum 1 year time. The cancellation prenotice is usually 1 month before the desired termination date. The same period applies to an extension prenotice. Different periods can aplly depending on the property and market conditions. We cannot guarantee an extension is possible even if we receive the 1 month prenotice, however we will struggle to find an acceptable solution if possible. For our serviced apartments we issued a Cancellation and Early Departure Prenotice Policy, plus an Extension Prenotice Policy that stipulates the conditions that apply when a client desires to terminate or extend the period of his stay on another date than the one from the initial agreement. Number of individuals: two persons are allowed in a one-bedroom, three persons in a two-bedroom and maximum four persons are allowed to occupy a three-bedroom serviced apartment. Apartment use: Our apartments in Bucharest are used for accommodation only; they may not be used for other purposes that do not comply with Romanian Law. We want our clients to respect and maintain the neighbor's right to intimacy and silence. We do not allow pets in our properties. Apartment replacement: We reserve the right to substitute the booked property with another apartment, similar or higher category, at the initial and confirmed rate, in case the property reserved cannot be rented because of internal problems. Our site may only be used to make legitimate bookings and shall not be used for any other purposes, including without limitation, to make any speculative, false or fraudulent reservation or any reservation in anticipation of demand. For improving the quality of our services, the telephone conversations with the clients can be recorded and can be used for later analysis !